If you got a moving violation in New York, points will most always be added to your drivers record. Finishing an internet Point and Insurance Reduction Program on the web entitles you up to a four point reduction, every 18 months, off your New York DMV record. For over 15 years we have helped thousands of NYC drivers keep their operator's records clean and insurance rates low. With our decades of traffic safety education experience, we are proud to bring you a New York City PIRP that is trouble-free, swift, information packed and taken at your own pace. Our all inclusive cost for your New York City Defensive Driving program is only $24.95! This program cost covers everything demanded by the NY Department of Motor Vehicles to get your automobile insurance discount and have points reduced from your operator's record. There are no hidden costs. If you find a cheaper price elsewhere, you can expect hidden costs for your Completion Certificate handling and processing that will increase your program cost. Any defensive driving or ticket school program you complete in New York City to receive point reduction and a mandatory 10% insurance rates savings must be a minimum of 5 hours and 20 minutes long in instruction time. All of NewYorkCityTrafficSchool.com's New York Defensive Driving programs meet this requirement. Another one of the advantages of our online defensive driving course in New York City is that there is no excess paper-waste. There are no written tests to do, no New York Department of Motor Vehicles forms to mail in, and no paper traffic school workbooks to print out. All you have to have is totally online... Now that's an eco-friendly defensive driving course New York City residents can rely on! NewYorkCityTrafficSchool.com is dedicated to providing first-rate driver safety education courses that are on-line, easy to use, and offered at the best sale prices. Our relentless pursuit of complete customer satisfaction and a genuine commitment to teaching our students has kept us the traffic-school leader for over 15 years. Paying for your traffic safety school in New York City doesn't have to cause problems. We accept payment by check sent in the mail, credit card over the phone, credit card online, or you can even defer your payment until you've tried the course and pay later. We accept the following fine credit cards: American Express, Visa, MasterCard, and Discover. 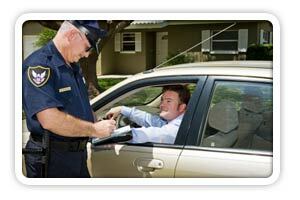 In a hurry to finish your New York City Defensive Driving requirement? Then you can go at your own tempo and finish the course in a single sitting. Or take your time and split the course into multiple sessions, doing a little here, a little there. We save your work as you go. It's that effortless and flexible!